First I blogged for Everyday Sociology, which was a great experience. Then I started this blog in July 2011. I've had so much fun. I think my favorite story I wrote for this blog is called "The Lake," probably because it contains a Van Halen reference. I wrote a lot about being a parent and family man on this blog, and had fun doing so. I'm proud of a list of resources I compiled for teaching and learning about race and ethnicity (click here to see). In 2015, I posted homemade comic strips for a series called Stick Figure Society (click here for an example). I promised I would perfect the art of the cold take this year. If I do, it will take place elsewhere. I'm not sure what writing adventure I'm going to pursue. But I know it's time to try something new. 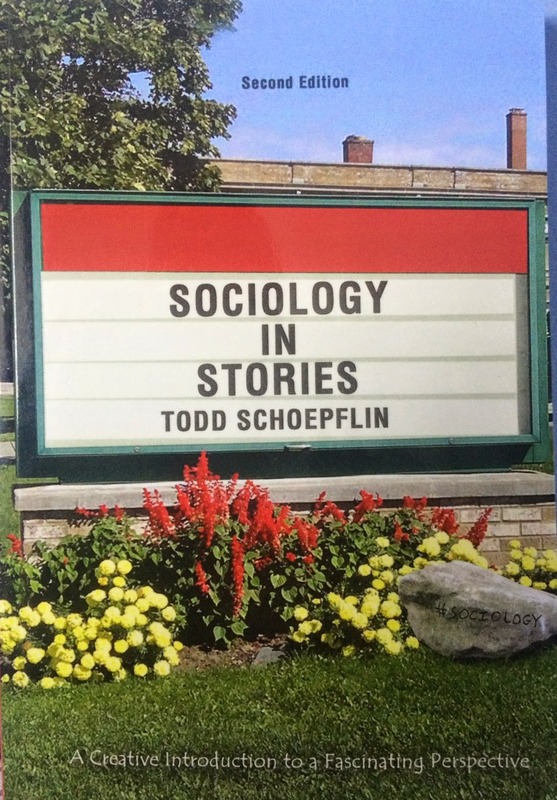 If you like my writing style, please consider checking out my intro-level book Sociology in Stories, now in its second edition. Click here for a description of the approach I took in writing the book. It's a short, accessible book. I've actually taught a nine day summer course, enough time for students to get through the book. If you're a sociology instructor looking for a different book to use in your introduction course, I hope you'll keep it in mind or consider adding it to whatever book(s) you already assign. It isn't easy for me to leave this blog. I've already left Twitter, which I explain here. Twitter and this blog were important ways for me to write in the past several years. But frankly, I grew concerned my writing on Twitter and this blog became stale, so I'd like to retool. I might go old school for a while--keep a journal, write in a composition notebook--or, who knows, maybe I'll stay in the 21st century and record a TODD Talk. I still have a few dreams up my sleeve so I think I'll just see if I can figure out exactly what they are. I'm done blogging, at least for now, but I'll still be writing. I'm in constant pursuit of the perfect sentence. Until I write one, I'll keep writing. Where my writing will take me, I don't know. Until then, you can find me by e-mail (tas@niagara.edu) or at a grocery store in the suburbs of Buffalo. And so he rode off into the sunset, listening to Billy Idol. And people thought that was strange. Previously on this blog, I made the case that America is a circus. In case we need more proof, we can examine the details of Judge Judy's new contract. Under her old contract, she reportedly earns approximately $45 million per year. America is a circus, case closed. Today is March 1. It's Still Snowing. 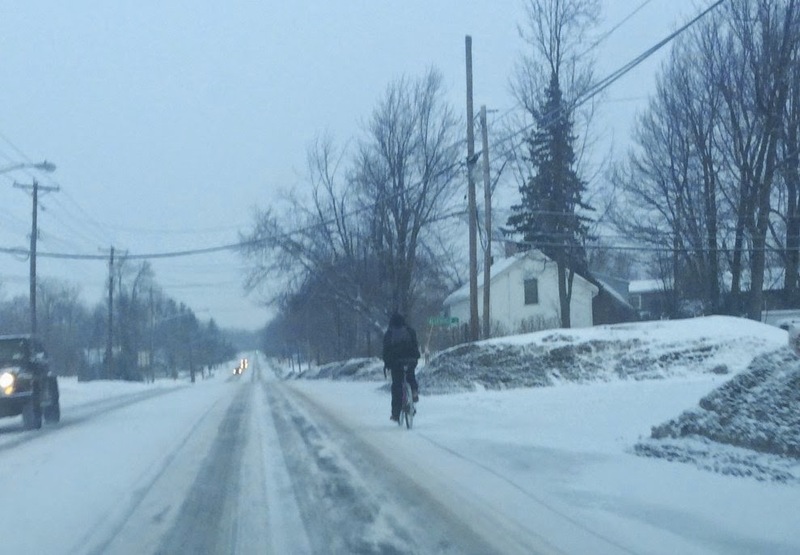 That's a person on a bicycle. Spring can't arrive fast enough.